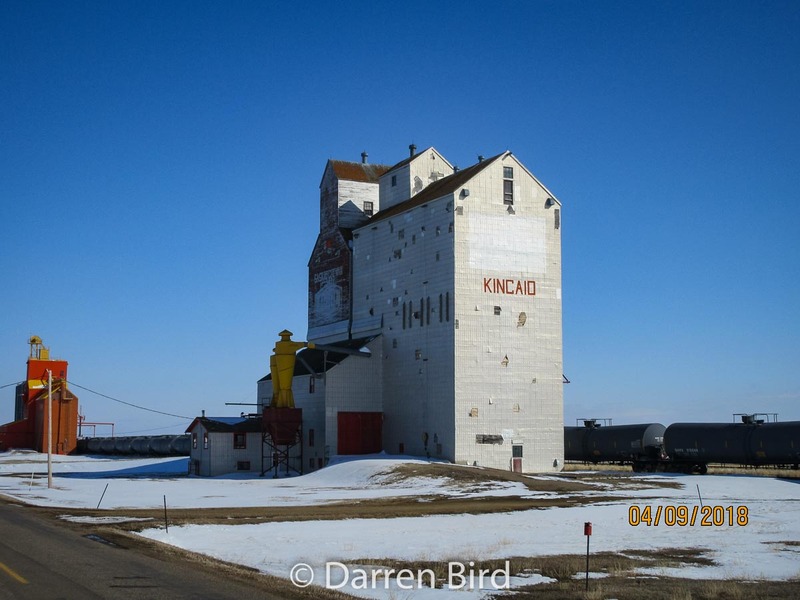 Kincaid, SK grain elevator, Apr 2018. Contributed by Darren Bird. The town of Kincaid, Saskatchewan has two grain elevators. 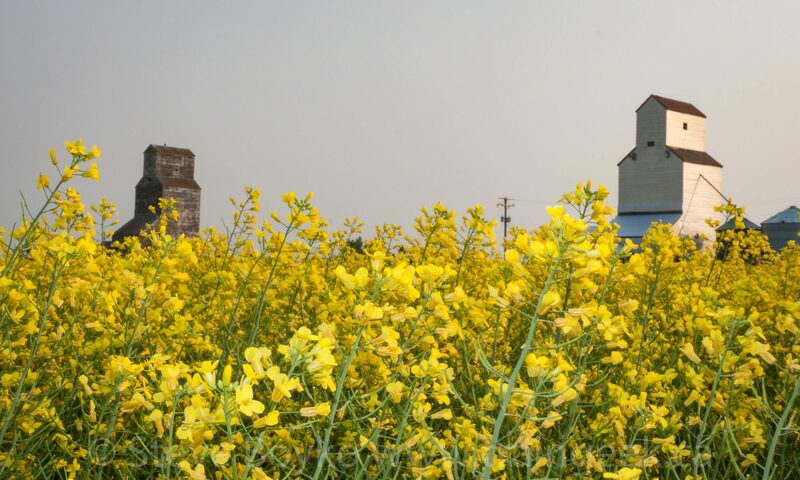 One is a former Pioneer elevator with a large wooden annex and three steel bins for extra storage. 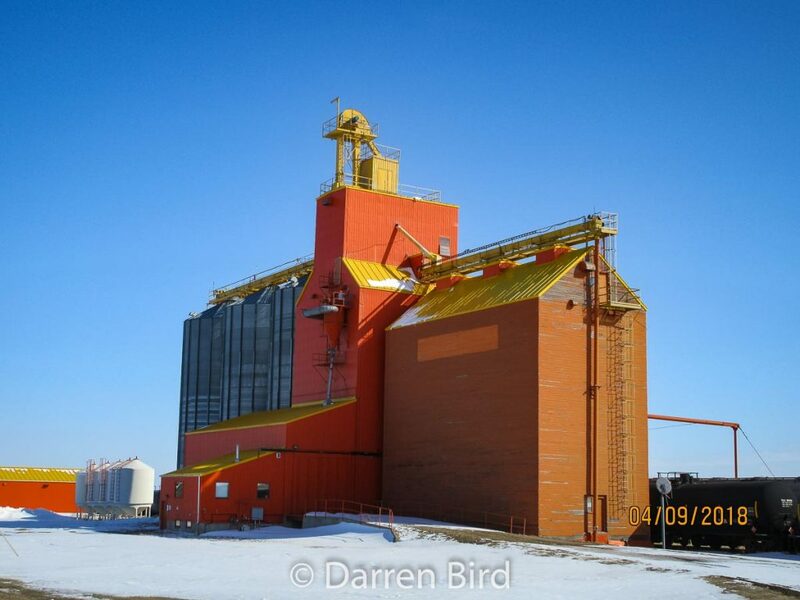 Grain elevators in Kincaid, SK, Apr 2018. Contributed by Darren Bird. 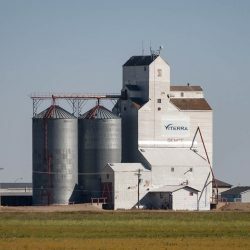 The other is a former Saskatchewan Wheat Pool elevator with one large annex.